Since that time he has asked anyone he has talked to if they know anything more about your journeys. My grandpa celebrated his 98th birthday this summer. You would not believe how many people he has shown the article of your trip through Michigan that he clipped out of the small northern Michigan newspaper. I was wondering if there is any way I could get more information about your rides? Do you have a book that chronicles your trips? Are you going to be doing any speaking engagements in Michigan any time soon. I would love to give him this for a Christmas gift this year and would be more then happy to donate to your rides for a gift for him. Any information would be greatly appreciated. So I sent him my DVD, The Adventures of a Lady Long Rider – the first 10,000 miles. “ I’m sure my grandpa will enjoy that. (my DVD) I’m looking forward to your book coming out. Hopefully we can get my grandpa to one of the stops on your book tour. He has a lot of questions for you. Art Penzien was born to a farming family in Macomb Township, MI in 1919. He is a retired meter reader for Consumers Power in Michigan. He was married to Irma Reis and they had three sons, Herb, Tom and Jerry. He still lives in Macomb, MI to this day. Even at the age of 98 he is still very active. The loves spending time with his family especially his grandchildren and great grandchildren. He still plays euchre every Friday with a group of friends. 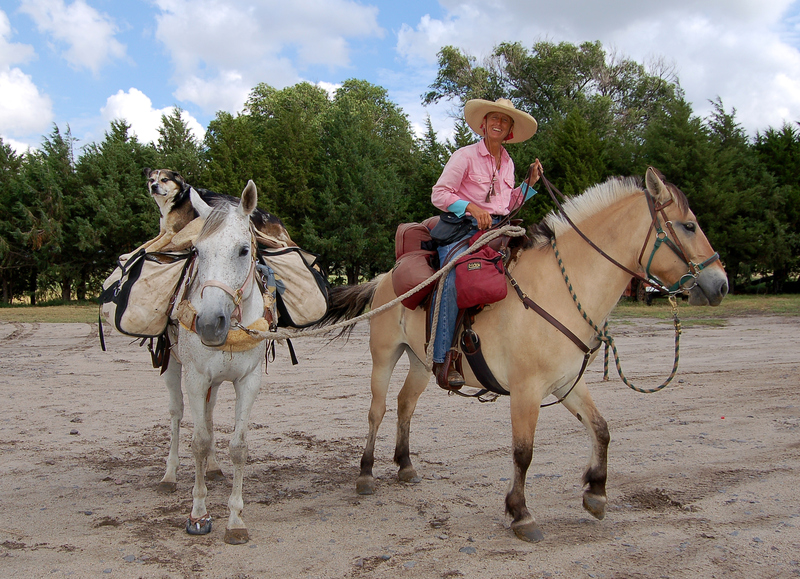 In 2015 a friend from Marquette, MI sent him a copy of the Marquette newspaper which contained a story of Lady Long Rider passing through the upper peninsula of Michigan, and he has been very interested in her travels ever since. THEN I received this photo! I asked him if he would mind sharing HIS story on my website and Facebook page. 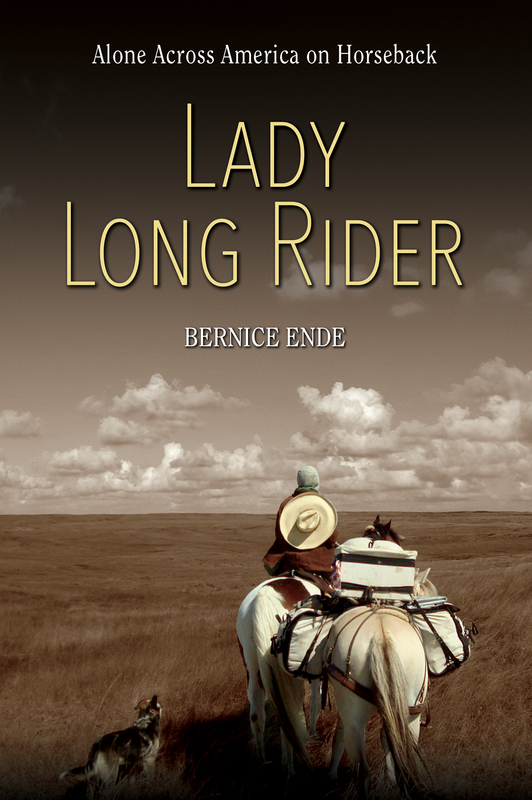 I knew you’d all enjoy it.Perhaps I’ll do a book signing in his Michigan town and personally hand deliver a book, “In My Own Skin – Becoming a Lady Long Rider – coming out this spring.